FRANKFURT -- Registrations in Germany fell 0.5 percent to 345,523 in March, according to data published by the KBA Motor Transport Authority on Wednesday. The drop in demand was likely due to several thousand fewer cars being sold due to carnival celebrations at the beginning of the month, an industry source said. Sales of diesel cars fell 2.7 percent last month, giving diesel a 32.4 percent market share. 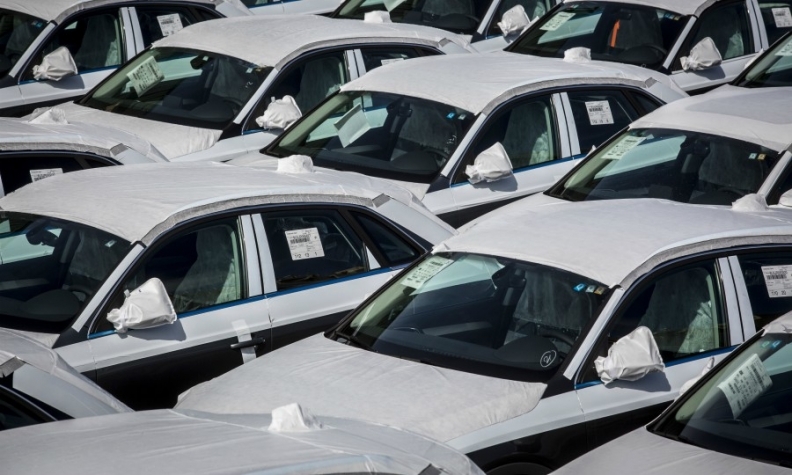 Gasoline car sales dropped by 6.4 percent for a 60.2 percent share. Tesla, Volvo and Audi were among brands that made volume gains, while Honda, Nissan, Honda and Jaguar were the biggest losers. Download file here for German sales in March. Tesla registrations rose 453 percent, while Volvo sales increased 39 percent and Audi was up 16 percent. Other winners included Smart, up 13 percent, Suzuki, up 12 percent and Opel, up 6.4 percent. Seat volume increased 8.4 percent, while Skoda rose 4.1 percent. Major Japanese brands had a bad month - Honda's registrations plunged 40 percent, Nissan's volume fell 39 percent and Toyota dropped 14 percent. Among other poor performers were Jaguar, whose registrations fell 26 percent, and Land Rover whose volume dropped 18 percent. Ford sales declined by 4.7 percent, while Fiat was down 1.3 percent. Registrations at market leader VW brand fell 2.9 percent. Among premium brands, Mercedes-Benz declined 5.2 percent, while BMW was down 3.1 percent. Through March, German sales fell 0.2 percent to 880,092.